Last Thursday, the wildly popular podcast Serial returned to tell a story that was, in its own right, already wildly popular. Season two is about Sgt. Bowe Bergdahl, the American soldier who may have deserted his post in Afghanistan in 2009, and who was subsequently captured and held captive by the Taliban for five years. 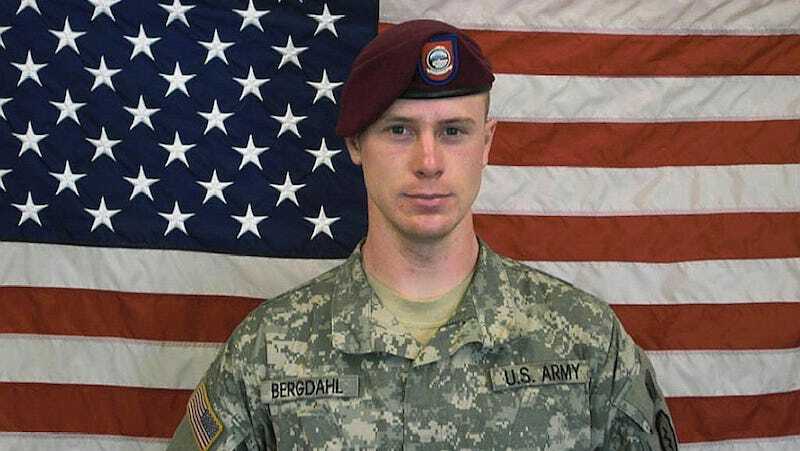 It is an odd choice, given that Bergdahl’s story could advance or become more complex in the week-long interim between episodes—Koenig is in no way able to control the release of information as she was so compellingly able to do in the first season. Of course, that has just happened. The New York Times reported on Monday afternoon that Gen. Robert B. Abrams, head of Army Forces Command at Fort Bragg, N.C., has ordered that the soldier face a court-martial for desertion and endangering troops. In a terse statement after the decision, Sergeant Bergdahl’s chief defense lawyer, Eugene R. Fidell, said that General Abrams “did not follow the advice of the preliminary hearing officer who heard the witnesses.” Mr. Fidell said that the hearing officer had also previously recommended against a prison sentence. The decision followed a recommendation from the Army lawyer who presided over Sergeant Bergdahl’s preliminary hearing in Texas in September that the sergeant face neither jail time nor a punitive discharge and that he go before an intermediate tribunal known as a “special court-martial” where the most severe penalty possible would be a year of confinement. What’s your move, Sarah? Calls to the Taliban can’t help you now.